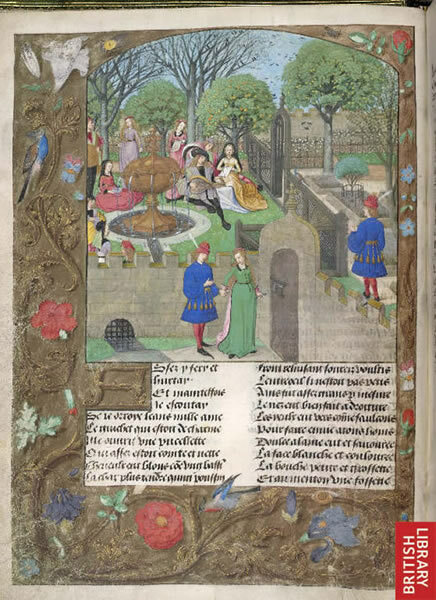 Image: ms. BL Harley 4425 f. 14v (late 15th c. Burgundian): Guillaume de Lorris & Jean de Meun, Le Roman de la Rose. Image source: ©The British Library Board. All Rights Reserved. You are currently reading Professional organizations at UBC Early Romance Studies Research Cluster.